This summary report is by the usgs.gov website reported January 7, 2014. TWELVE DISCIPLES is what I call them. They teach us lessons and minister to us. There were less earthquakes but the same as in 2008. What was 2008? What does 2014 and 2008 have to do with TWELVE? We could say that each year had one for each month to be a witness for each month. ?? I want us to think Hebrew now because these results are for the Gregorian calendar which most of the world lives, with the exception of Islam, Israel and other sects that follow the moon or sun. I’m going to look at these increases for the Hebrew year next. Why would I take the effort to transpose the time and dates? Well my friends….both of these years have something in common. They each hold half of the 6th Shemittah cycle and part of the Shemittah 7th year which is known as the Shemittah year. The Sixth Shemittah cycle is known to be a year of double and triple blessing before the land is laid fallow, to rest. In the case of the land that produces a harvest, there must be enough harvest to feed the land owner so he doesn’t starve until the next crop is ready to eat or sell. 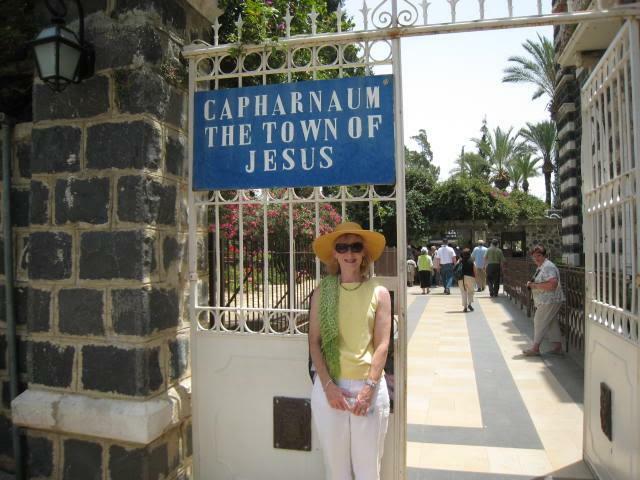 As I type this article, I just realized that I was in the land of Israel for my first visit ever fulfilling my life-long dream just being there. Yes, my dream was realized in what year? It was the Shemittah. I was 59 years old and ready to be 60 years old three months later. I stood there looking out at the Kidron Valley at Shav’uot. I was there during the last week of the Counting of the Omer. They were to count the days to the ripening of the barley…it was the giving of the Ruach HaChodesh (Holy Spirit) upon tongues of fire on hundreds of people. I just realized God’s hand on me once again and, now a complete Shemittah cycle later, I’m writing about where I was. I believe that once you visit Israel and go to LISTEN.., you come back a different person. The people I know that do this, are different people in their hearts. But, if you go to change Israel or it’s people, you are not in harmony with it’s purpose. God’s yood is all over them. The greatest testimony a person can have is to show a ‘burning’ heart for them. TWELVE DISCIPLES in 2008 and 2014. Amazing! In the article from usgs there were two dates that they gave as being the biggest in 2014. It was a date that I sat in Arizona and applauded our Creator again in amazement. It was April Fool’s Day. April 1. But the calendar months aligned that year and were day for day, for only a few months. God did NOT want anyone to miss it…Yes, it was the beginning of His Ecclesiastical calendar…It was the beginning of Yeshua’s commitment to die on the stake. It wasn’t any Pharisee, or Herod, or Pilate that did this. They were allowed to be part of the program/play…but it was a suicide mission with one person, God in the flesh, who gave Himself for ALL who would believe it. If you don’t believe it, pray for a believing heart. Faith…we have all the substance of events to believe the greatest phenomenon in the world….but it takes YOUR faith. Faith has action to it as Yeshua’s bother tells us in the Book of Jacob, today known as the Book of James. TWELVE DISCIPLES – In 2008 and 2014. Let’s just go with that, because at this writing we are still watching the ‘yood of Elohim’ in the earthquakes for the Shemittah cycle 2014-2015. We have one-half a year to go. So far, no major trouble in the first half of the 7th cycle. But, other earth moving events have happened with oil, kings and governments. I will have written about 2008 so I’ll catch you up on that later. But, I want to show you something of interest. What have we learned about the Shemittah? It comes from something so severely pressed that it finally releases it’s pressure to Shemittah (rest). The sixth Shemittah year of the seven-year cycle is going to do two things and it’s your choice. Yes, it’s your choice. You can choose blessing or cursing…Yes, cursing or blessing. People always want to be blessed but for what purpose? It is to further the Kingdom of God? Is it to further His return? Or, is it materialism, power, prestige and on and on of all the things this world has to offer. Maybe you’ll be so popular that they’ll make a hologram of you so you can play with your grandchildren after you’re gone. AMAZING technology. Yes, people’s figures will live into eternity….. In fact, will it be this very technology shown to the world in a commercial on Super Bowl Sunday, 13 Shevat, February l, 2015, that will usher in a view of false anti-christs? Will this technology permeate because God’s children are so dumb-down (yes, dumb) that they don’t even know what the coming Messiah is suppose to look like. Is He white and Greek looking? Is He black and from India? Matthew 24 tells us what to watch out for. But, it will tried to be duplicated because it can now look like a flash of lightening coming from the East with this technology. Or, some may think scripture teaches this holographic capabilities gives us Jesus right in our very own homes and our children can sit on His lap. Will Jesus be Jewish? Did He quit being Jewish after He arose from the dead? I don’t think so. Did He wear a Pharisee’s garment? Were there five different sects of Pharisees? Did these sects argue among themselves? The answer….YES! If we don’t begin with saying His correct name and identifying Him as being a Jew, then they will NOT say from Zion, “Blessed is Yeshua who comes in the name of Adonai.” He is Adonai in the flesh and He is returning. These earthquakes will be great. They will be double and triple and quadruple before HIS coming. The sifting will be so great that it will be hard for man to survive. I don’t have to be in a physical body to be transformed and lifted up to go with Him to Jerusalem. He will resurrect me first, if my flesh dies before His return. I don’t worry about this ‘Catching Away’ as He has put me on this earth to stay in for the fight of a lifetime. Death has no hold on me. I welcome it as I will have a new body that has shed off it’s old mortality and put on new immortality. My hands work every day to shed the old flesh that holds me. 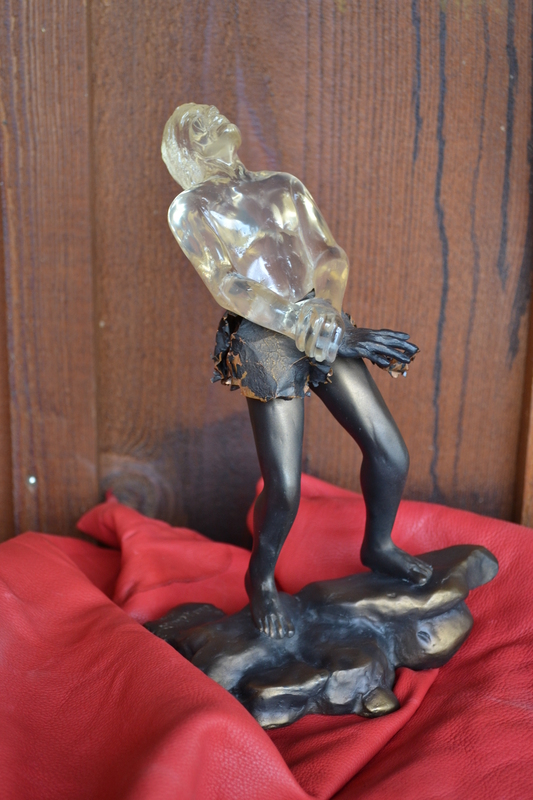 I love the picture my niece created from the statue I have owned for many a year now. I know I’m being transformed and dying daily to my sins. When Yeshua comes to reign it will be an earth-shaking time. It will be known as the Jubilee year (50th) year that PEACE comes to the earth. In Hebraism they look at the year being accomplished, not just beginning. Therefore, it is at the end of the Shemittah cycle that it is completed and we see the FULL period being satisfied according to it’s meaning. Yom Kippur is the only day that truly represents that release. Yes, look to Tishrei 10 as a very special day of JUBILEE one of these days. In the Shemittah (7th) year things fall and are released. Captives are set free. Yeshua dying on that stake 1985 years ago did that for ALL His creation. Did He die in a Shemittah year? It makes sense that He would. The first children looked forward to the final lamb, and the latter children recognize that lamb as our anointed (cristos) Messiah, Yeshua (Jesus). There have been zero 8+ earthquakes since Nissan 1, 2014. IsraEL also found oil surpluses under their soils in 2014. 2014 was a year of triple blessing for Israel as their wine vats were full for the first time in their history. They had never produced wine before and their wine won top ratings. In fact, Spain and France had bad crops and thus the world would now buy the best grapes in the world for their wine from IsraEL. In 2015 when they lay their vines to rest, there has been a fund set up for donations that you and I can contribute that the State of Israel will match to help the land owners with their debt as the vines rest. Want to be blessed…DONATE! 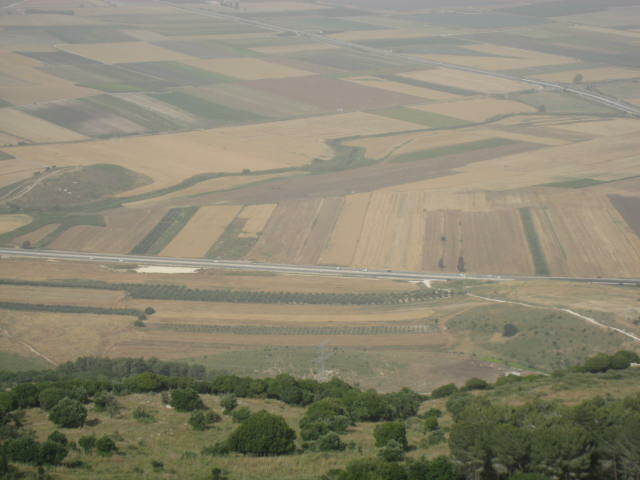 I did not know about the land being in a Shemittah rest when I visited Israel. But, I did notice that the landscaping was nice, but not lush. It was a few years later that I realized that they even let the soil in the flower pots rest. It was a true example of what Israel is about. It is about being separate by observing God’s instructions for their land. They are called to be separate from the world and, because they do, God will be blessing them beyond expectation. Beyond what we could have dreamed for them. Yes, Abraham still had enemies and he was just beginning. He fought five kings and won Lot and his family and possession back. But, Lot stayed in the world against better judgment and all was lost again. These are the examples we need to learn from on how God operates. God chose these stories for us to picture in our minds so we choose the correct way. We see one single man making a decision and being placed in the books of history for us to view. Just as the two women who would not kill the babies for Pharaoh, their names go down in history. Planned Parenthood kills 380,000 babies a year….those connected will NOT be honoured by their Creator. Sin has a consequence and judgment does fall…sooner and later. “The biggest earthquake in the United States, and the second largest quake of 2014, was a magnitude 7.9 event in the Aleutian Islands of Alaska on June 23, Sivan 25. Several quakes below magnitude 5.0 rattled Oklahoma, Texas, Kansas, Arkansas and Arizona throughout the year.” usgs.gov. Okay,,,got it as I looked at my Hebrew calendar I’ve been formulating for two years… Yes, it is about Israel and it will lead to the 1967 Yom Kippur War. On June 23, 2014 it was Sivan 25. On Sivan 25 1964 Israel opened up the gates and received water for the first time to water the Negev. This earth-shaking moment that fulfilled prophecy was it’s 50th ANNIVERSARY. Did we hear about it in the news? No, but our Creator knew and was calling on His creation to celebrate it. ONLY being on the Hebrew calendar……..Watchmen watch! Will you cause an earthquake in your life? Will you be part of a quorum of Ten. God works in wonderful numbers. If you think they are mystical, then they are. Because God really is a mystery to be sought out. Once you unravel the mystery of God in your life, things are no longer mystical. I fear not what any man thinks of me, but I do fear failing at the charge set before me by my Creator. I continue to pull at the OLD flesh until I put on MORTALITY! New Creature Shedding off old nature.